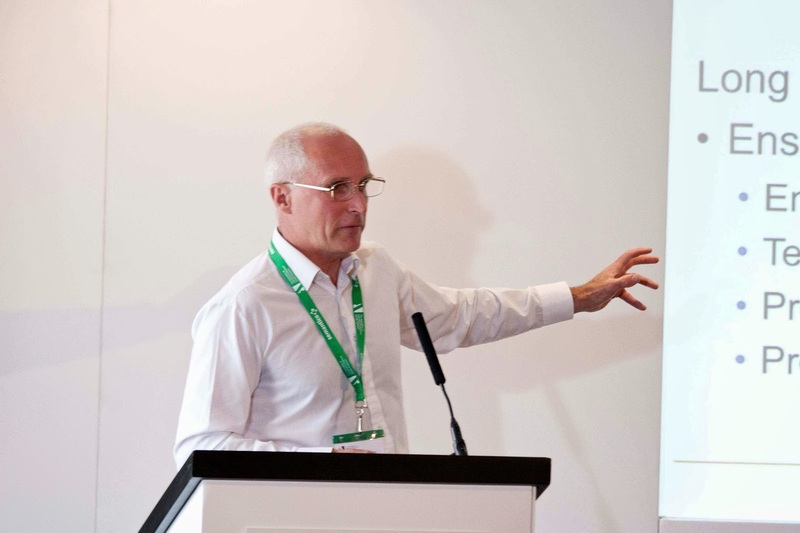 This is the sixth and final in a series of reflections on the 2013 ALPSP International Conference by Kurt Paulus, former Operations Director at the Institute of Physics, and long time supporter of ALPSP. Our thanks go to Kurt for capturing the sessions. If this whets your appetite, make sure you save the date for the 2014 conference on 10-12 September, Park Inn Hotel Heathrow. Listening to our audience is an oft-repeated demand; this conference broke new ground in identifying two types specifically: vision-impaired scholars, and early career researchers and teachers. It is estimated that one in eight people in the UK have some sort of ‘print impairment’, i.e. need help with access to written material. There is a moral case for providing this help and also a legal requirement in the form of the Equality Act 2010. The numbers also suggest that there is a commercial case, which is why Huw Alexander’s session was called ‘Accessibility: are you missing a strong market for your content?’ Rachel Thornton, Leeds Beckett University, gave a number of case studies illustrating how time-consuming and frustrating the experience of getting accessible versions of books on the reading list can be. For the staff assisting students the administrative effort can be severe. Publishers can help by providing clear information about file availability, rapid turn-around, fully accessible files, simple licence agreements and re-use by other students. Files that arrive four months after request are useless. Academics, too, need to be aware of difficulties when they put titles on reading lists. Anna Jones of RNIB, Alistair McNaught of Jisc TechDis and Sarah Hilderley of EDItEUR filled in the technical background. EPUB 3.0 is now the most flexible platform for accessible e-book versions, and incorporates MathML as an integral part. How to write image descriptions remains one of the biggest challenges. 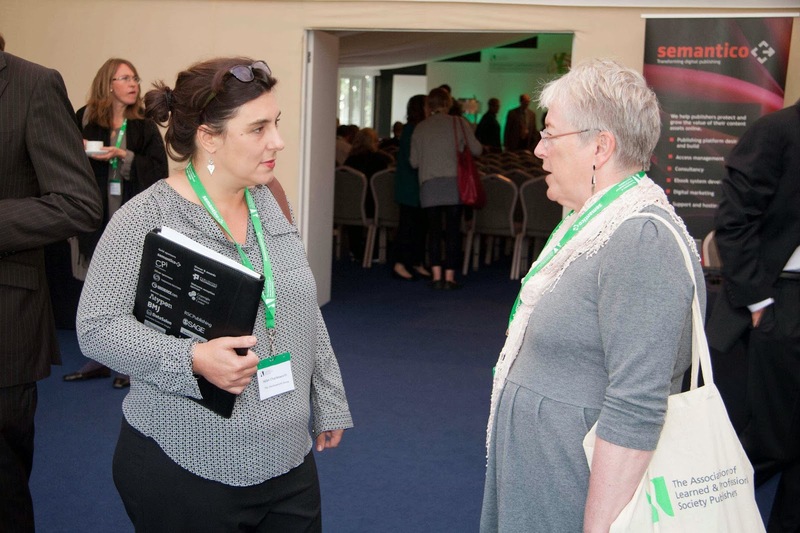 An increasing range of e-readers, tablets and smartphones give varying degrees of accessibility with larger ‘print’, synthetic speech, electronic braille, as Anna Jones demonstrated with the help of her iPad with voice-over technology. So did James Scholes, a sightless computing student at Leeds Metropolitan, who led us through screen menus and simulated text, skilfully and at breakneck speed. The field is very collaborative. The Accessibility Action Group in 2012 issued a joint statement on accessibility and e-books (see www.publishers.org.uk). EDItEUR, supported by publisher organizations and others, has published Accessible Publishing: Best Practice Guidelines for Publishers. Jisc’s TechDis initiative provides support for publishers in creating accessible PDF documents, efficient alternative format request mechanisms as well as supporting publisher training. For publishers the message is: understand the issues, encourage awareness in house and extend this to all internal processes and then roll it out through the whole supply chain. For the PhD student or the starting academic, publishing your work is critical. If you aim for an academic career you have to be conscious of the requirements of the Research Excellence Framework and this will govern your submission patterns: start with the top journals; in Janine Swail’s case follow the International Guide to Academic Journal Quality of the Association of Business Schools and don’t waste your time with non-rated journals. Everyone suffers from information overload; PubMed Central is said to add one new article a minute. The tools for assessing relevance and quality need further development. Impact factors are becoming dated, better search techniques are needed, the development of alternative impact measures such as Altmetric is welcomed and researchers are looking to social media and two-way communication to seek reassurance. Mobility is critical, especially with subject areas and projects that require travelling. Access is needed 24/7, speed is of the essence, mobile journal apps and more mobile friendly websites would be welcomed. Authoring and submission tools need further development but preferably they should be publisher independent. Help with resubmission is encouraged. Budding authors would like to share both pre- and post-publication. Cost is a serious factor for early career scholars. Pay walls are not only an irritant but may be a game stopper unless the searcher has deep enough personal pockets. Short term paper loans might be considered. Author processing charges are too high; consider student rates. Plus OPEN ACCESS! Finally, and all participants in the session agreed on this: ‘Come and talk to us.’ Just as budding academics must learn to understand publishing rationales and processes, so publishers must learn more about the specific needs and irritations of this particular group of customers. One size does not fit all. 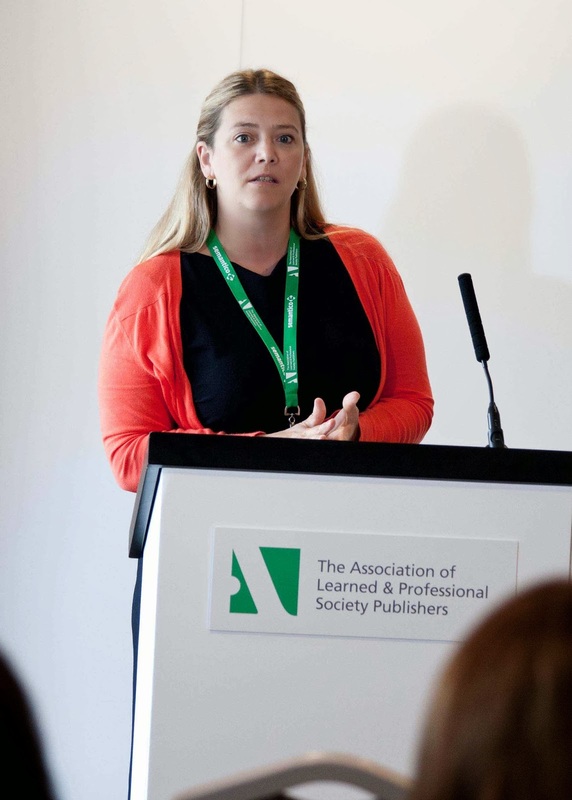 One overarching impression, for one who has been to many ALPSP events, is the high standard of the talks, not only in the quality of their content but also their confident presentation, streets ahead of what it was in the days of the Learned Journals Seminars. Refreshing, too, the gender and age balance, with young professionals, deservedly, getting to the podium earlier than ever. It seems a long time to wait until the next conference. Preparations are well in hand we are told. Dates confirmed are Wednesday 10 to Friday 12 September at the Park Inn Heathrow London, UK. The annual ALPSP awards were announced at the conference but here they are again for completeness: Out of 15 submissions for best new journal the judging panel selected Faculty Dental Journal from the Royal College of Surgeons of England as the winner. Even more coveted was the publishing innovation award, with 32 entries. Drama Online from Bloomsbury Publishing, with Faber and Faber, was highly commended, and PeerJ, launched last year by Jason Hoyt and Peter Binfield topped the poll. Risk talking and innovation, it seems, are still prevalent within the industry! 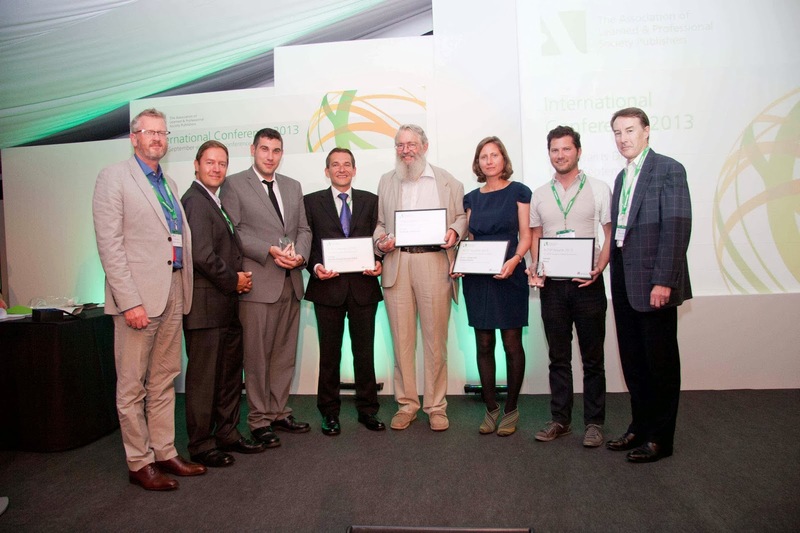 His many friends will have been pleased that the ALPSP Award for Contribution to Scholarly Publishing was given to Anthony Watkinson, rarely absent from these refreshing conferences.